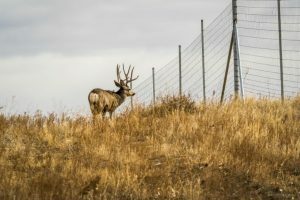 When you are out hunting, having one of the best deer stands can represent a practical and safe method to ensure a high-visibility platform. 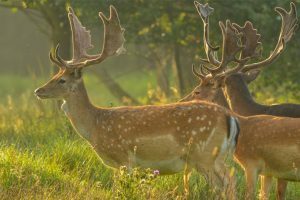 You will be in the position where you will be able to enjoy better visibility of deer around you for your long hunting sessions. 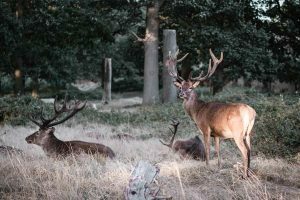 The good news is that you will also be able to ensure improved comfort with a top quality deer stand even up in a tree out in the wilderness. The Summit Treestands Viper SD Climbing Treestand is one of the light versatile stands. It comes with a climbing mechanism which will allow you to have a custom height and this means you will get the opportunity to work with a design which is made for the best performance when it comes to different environments. With a weight of just 20lbs, the stand will come with a solid frame which will support users of up to 300lbs. The climbing treestand represents one of the interesting options to work with, especially since it will come with such a lightweight design. Even more, with the included backpack straps you will be able to easily carry it to your desired hunting location. 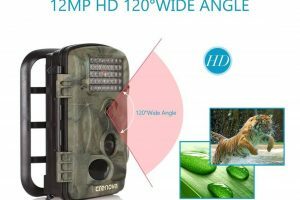 Its camo design will also mean its detection will be reduced and with the DeadMetal design, it will also produce less noise which is typically associated with the metal on metal sounds. The climbing treestand represents a lightweight option for the users who want to hunt from different locations. 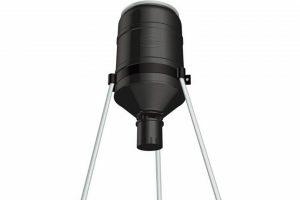 It will come as one of the recommended options due to its reduced weight, incredible load capacity and the ease of use which will give you more freedom compared to a fixed version. The Millennium Treestands M150 Monster Hang-On Tree Stand represents an interesting solution for an adjustable height. With a lightweight design which can be used to your desired height, it can represent a good option both for sitting and standing since it will also come with a foldable seat. 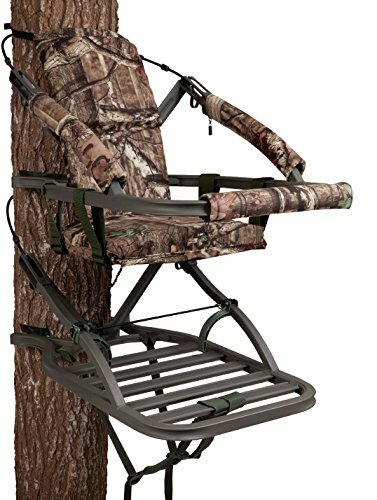 This tree stand is perfect for the hot summer days as well as it will come with the breathable seat material. 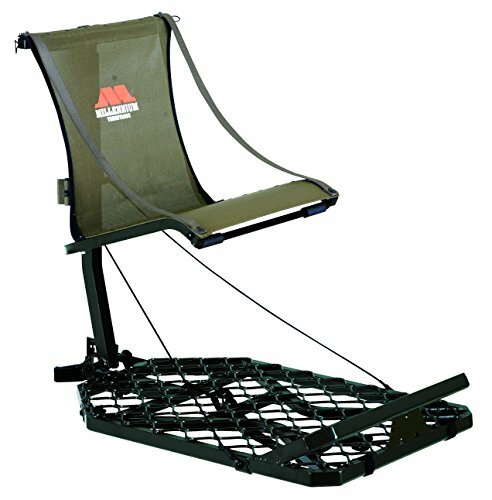 When looking for a lightweight design, the millennium deer stand model is a solid option with its 19.5lbs weight. 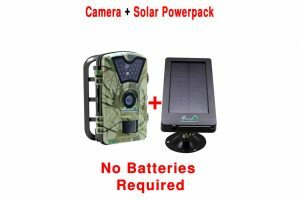 Even with this lightweight, it will still hold all users and it will be a recommended option when traveling long-distance into the wilderness. With a fold-up seat design, it will represent a solid option for many users who need the best adjustability. 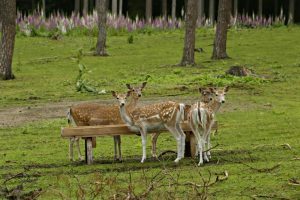 One of the lightest deer stands on the market will prove to be a solid option when it comes to great overall adjustability. It will also prove to be a good solution when looking for the best design when it comes to freedom of movement. Since you will also be able to adjust the height to your preferred level, it will be a good option to use, especially with its full body harness for safety. The Ameristep 15-Feet Two Man Ladder Stand is a recommended solution for a fixed hunting position. At 15 feet above the ground, you will have better visibility and it will be important to have good comfort as well. This stand can even support two hunters with its impressive 500 lbs weight capacity. With a comfortable seat, a shooting rail and plenty of leg room, it will prove a worthy option for a long day out hunting with a friend. 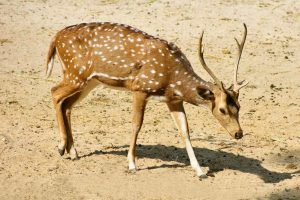 This treestand is thus one of the recommended options when you need a fixed hunting position and when a solid construction will prove essential. 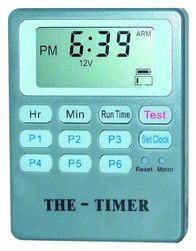 You can use it as a comfortable solution when out hunting alone or you can even use it with a friend or your partner. This model is thus a solid option for added comfort and with two safety harnesses, it will also be one of the safe solutions for up to two users. 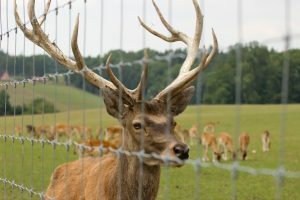 When it comes to choosing the right deer stands model, brand and design, it will prove important to work with a solution which will allow you to maximize your style of hunting. 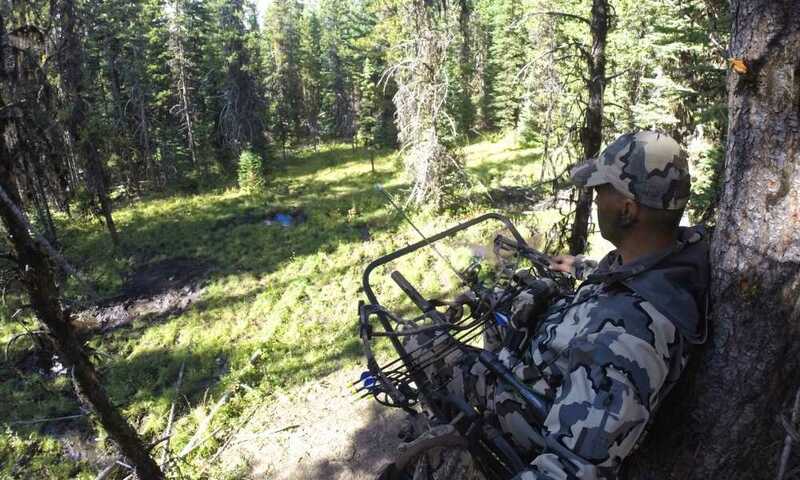 Thus, if you are moving from location to location, the Summit Treestands, Viper SD Climbing Treestand and the Millennium Treestands M150 Monster Hang-On Tree Stand will be the recommended options to work with. But when you need a more robust alternative for a fixed location or a type of hunting which doesn’t require you to move as often, the Ameristep 15-Feet Two Man Ladder Stand will be the recommended solution. Thus, it will be worth considering the best solutions to work with, especially since it will create the solid platform for up to two users. 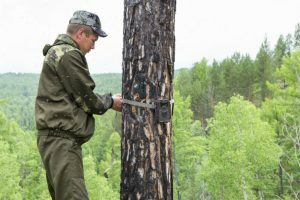 Thus, you can use the treestand as the perfect solution for a day out hunting with your partner or a friend. 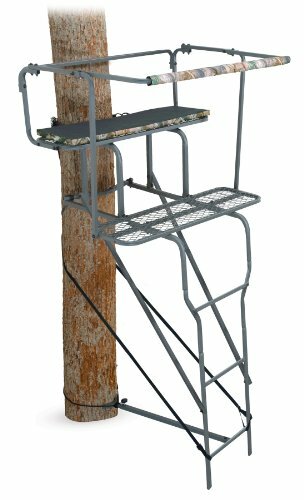 The Ameristep 15-Feet Two Man Ladder deer stand will also come as one of the comfortable solutions since it has a large seat and a large foot platform that will also allow you a standing position. Thus, with the padded shooting rail, it will also prove to be a comfortable option for those long waiting hours and it will represent the solid alternative when it comes to safety as well. This is why it will come with two safety harnesses with one for each user. At a height of 15 feet, it will offer improved target visibility which will prove to be a major advantage over similar options. The above tree stands have good customer reviews and price point. Buy now with free shipping.